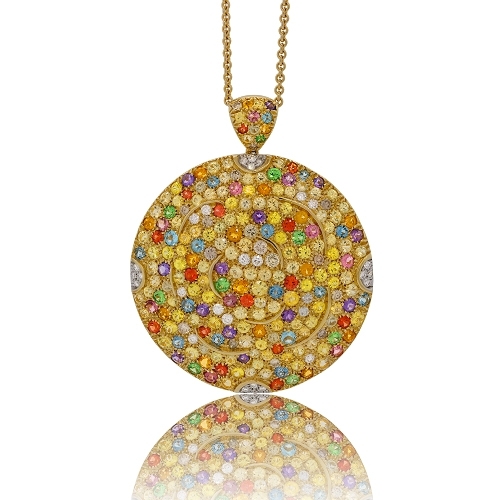 Round pendant set with a colorful display of champagne diamonds, colored sapphires, aquamarine, amethyst, tourmaline, tsavorite & citrine mounted in 18k yellow gold. Diamonds approx. 1.08ct. Pendant 2.1"